Fall in the food world means two words: pumpkin. everything. Like your average fall-obsessed individual, I too want to try all things pumpkin flavored. Pumpkin bread pudding? Absolutely. Pumpkin Spice Cheerios? Get in my shopping cart. Pumpkin ravioli? Lemme try. But my one true dessert love is left behind in summer: s'mores. Just like I will try anything pumpkin flavored, I will also try anything and everything having to do with s'mores. GET. IN. MY. BELLY. When I came across this recipe on Pinterest, courtesy of Nestle, I knew I had to try it. 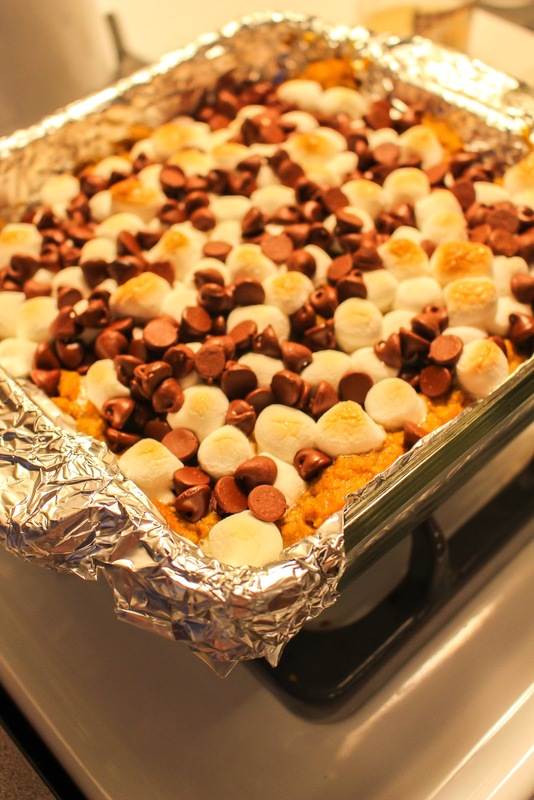 Pumpkin S'mores Bars. The iconic fall flavor and my favorite dessert of all time HAD A BABY. Count me in. This recipe has minimal ingredients and is SUPER quick and SUPER easy. 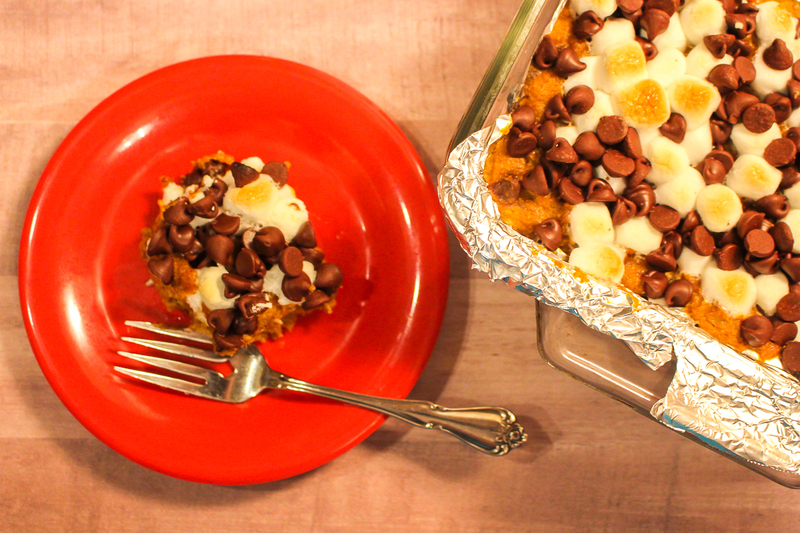 The combination of the pumpkin and chocolate with the marshmallow is deliciously sweet. But instead of "bars," I would say the texture is more casserole-like. 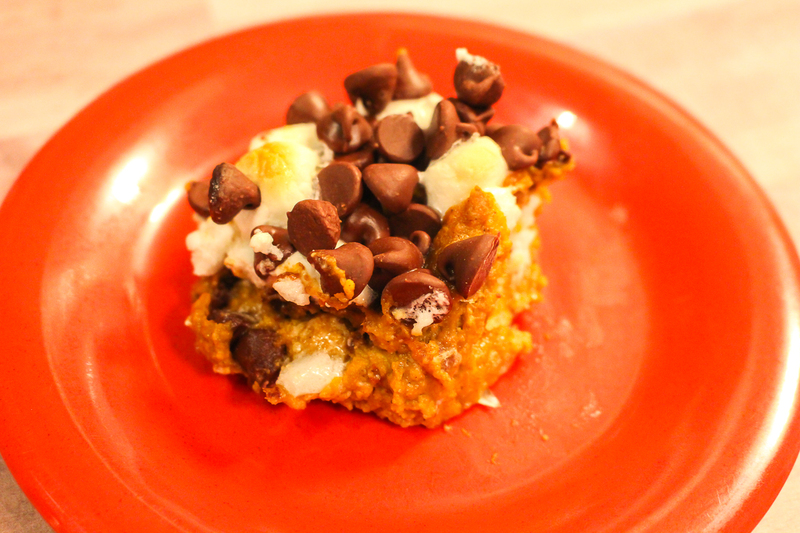 It's a fall treat that is sure to be a crowd favorite! STEP ONE | Preheat oven to 450° F. Line 8- or 9-inch-baking oven-proof dish or pan with foil. STEP TWO | Heat the pumpkin, butter, milk and cinnamon in a small saucepan over low heat until butter is melted and mixture is heated. Stir in the graham cracker crumbs. Remove from heat. STEP THREE | Arrange graham cracker squares on bottom of baking dish. Spread half of the pumpkin mixture on top of the graham crackers. 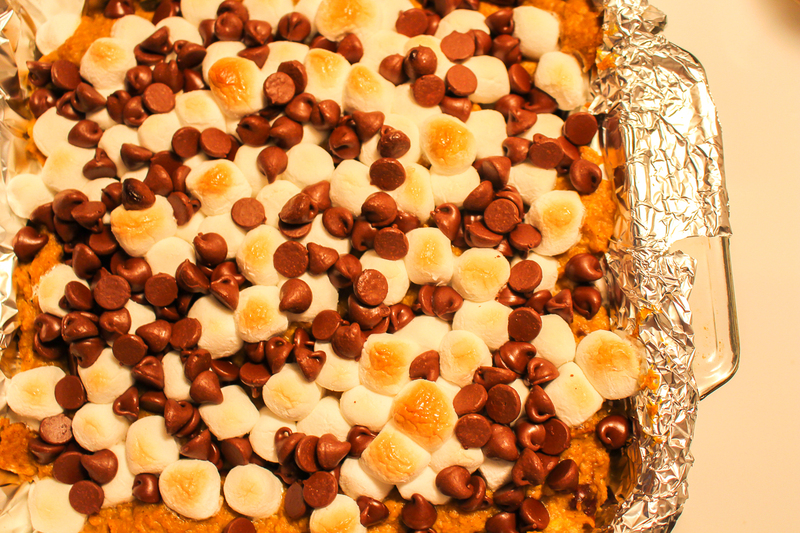 Sprinkle 1 cup of marshmallows and 2/3 cup of chocolate morsels over the pumpkin mixture. 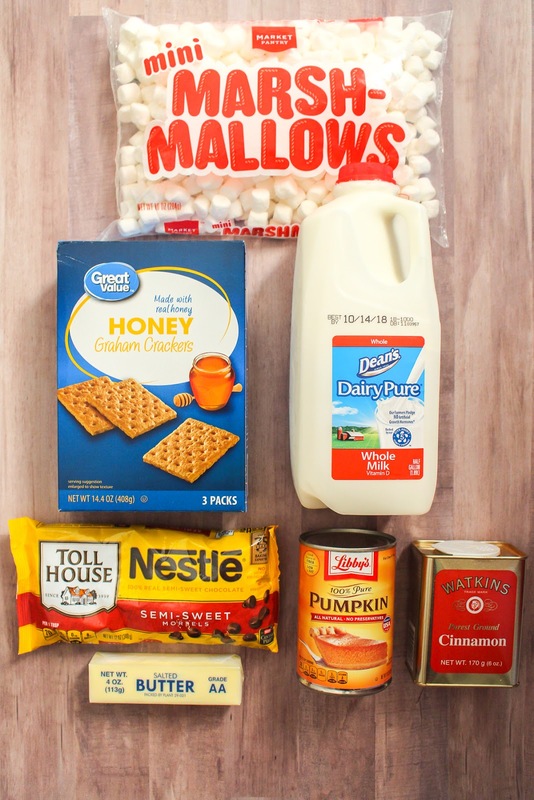 Spread remaining pumpkin mixture over the marshmallows and morsels. Sprinkle with remaining 1 cup of marshmallows and 2/3 cup of morsels. STEP FOUR | Bake for three to five minutes or until marshmallows are golden brown. Allow dish to cool on a wire rack. Refrigerate for one hour before cutting.